Today, over 700 Parsis live in the NCR and pursue various businesses and government jobs. The Mengusi Parsi Dharamshala on Bahadur Shah Zafar Marg . The flavourful Parsi Dhanshak and the sweet-and-sour berries in the Berry Pulav have made their way into the hearts of many a Delhiite over the years. The Parsi community is believed to have come to Delhi as early as 1869, says an inscription at the Old Parsi cemetery near Hotel Taj. Today, over 700 Parsis live in the NCR and pursue various businesses and government jobs. Legal luminaries such as Fali Nariman and Soli Sorabjee are the leading faces of the community in Delhi. Senior community member and member of the National Commission for Minorities, Dadi Mistry, has lived in Delhi for 50 years. Having spent his formative years at the Dadar Parsi Colony in Mumbai, he moved to Delhi as a bachelor after studying engineering. “When I first came to Delhi, the city was only up till Defence Colony. I still live in the locality but now there are only about three Parsi families left there. Parsis in Delhi are spread across the city but many of them moved to Gurgaon in recent years,” he said. Over the years, many members of the Parsi community have come to Delhi on work assignments and left, he added. The cohesive community, known to reach out to all its members in need, runs a Dharamshala for Parsis visiting the capital. Dhun Daraius Bagli (82) has been running the Mengusi Parsi Dharamshala offered by the Delhi Parsi Anjuman on Bahadur Shah Zafar Marg since 1979. “It was started by my husband Daraius Erach Bagli in 1950. He died in 1979 and I have been running it since,” she said. Her son Cawas Daraius Bagli is currently the head priest in Delhi. She said the Parsis observe three major events in a year for which members of the community come together — the Jamshedi Navroze in March, the Parsi New Year in August and the anniversary of the Parsi fire temple in December. The dates of the occasions are determined based on a 360-day Parsi calendar that has no leap years, said Mistry. 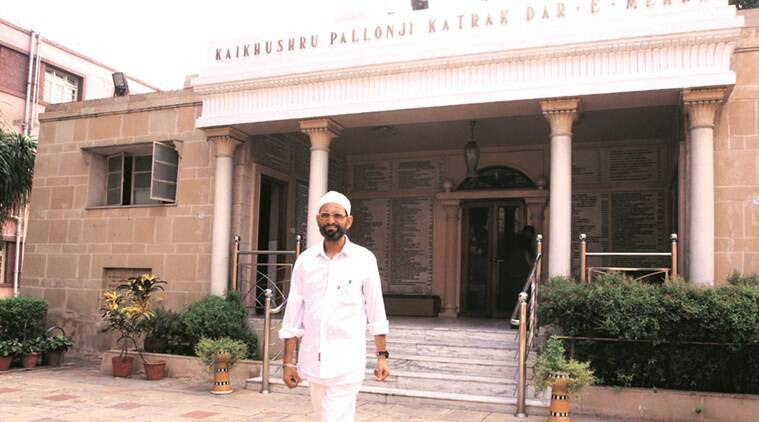 The Delhi Parsi Anjuman also has a committee that brings Parsi youth in the capital together and a Farohar committee that teaches young Parsi children about Zoroastrianism and their culture. Kainaz Contractor (29), who moved to Delhi two years ago, started a Parsi restaurant ‘Rustom’s Parsi Bhonu’ at Aurobindo Marg. “After I moved from Mumbai to Delhi, the big change was that when you say you are a Parsi, in Mumbai people know who you are but there is limited knowledge about the community in Delhi,” said Contractor. While Parsi food may have been the best way to connect with people in Delhi, she said, the people here know little about “how eccentric and fun-loving we are, as a community”. I have read your above post and would like to say that I agree with you that Mrs Dhun Bagli is a gracious and talented person. I know her from years ago when I was a child and she is a Bombay girl ( nee Langrana) and was our neighbour when I was a child. Her parents and mine were very good and close friends. She moved to New Delhi after her marriage and that is when my family lost touch with her and later on with her family when they also moved away. Now I too have migrated to NewZealand since the last almost five years but reading your email brought back memories of old times , hence this post. I am very glad you met Dhun in 1988 as you write and she has indeed become an icon and is a warm and gracious person.